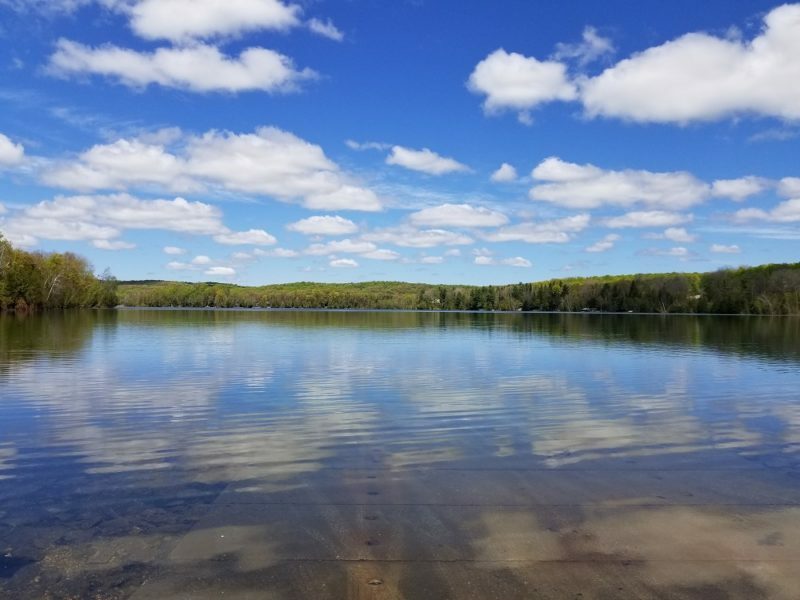 Sometimes called Lake Louise, this picturesque lake is located just north of Otsego County. Known for having a number of small coves and points which are perfect for exploring, Thumb Lake also boasts many undeveloped areas which makes for great scenery. There are two parts to this lake and the East side contains a large beach with plenty of parking and restroom facilities. We recommend dropping in at the Boating Public Access Site located at the extreme west end. Take Old 27 North to County Road C-48 (also called Thumb Lake Road), turn left and stay on this road approximately 5 miles and you will see the site after a large bend in the road. Parking and restroom facilities are available.